Welcome! 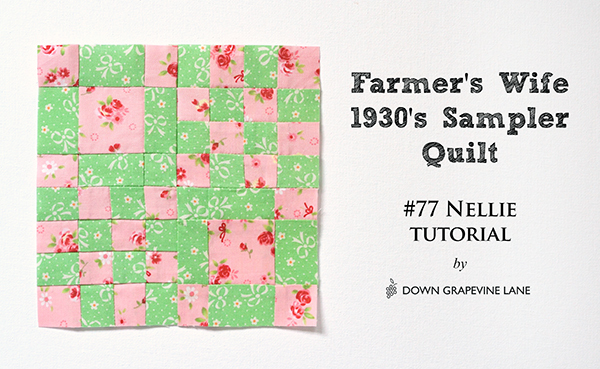 It's my turn again today as an official blogger on the Farmer's Wife 1930s Sampler quilt-along, and I will be showing you how to make the 'Nellie' block (block #77). I rotary cut the pieces for the block following the the cutting instructions on the CD that accompanies the book, and then machine pieced them. The two fabrics I have used in my block are both out of print alas - the pink one is a no-brand cotton that I bought two years ago from a Korean Etsy shop, and the green bows are from an old Lecien line and now pretty much impossible to find (if you do find some by a miracle, let me know, as I have used my last scraps in this block!). Before cutting, I always starch my fabric using spray starch - I spray it onto the fabric generously but without soaking, then press it with a dry iron until the starch sets. I make sure the iron is not too hot or it scorches the starch, leaving brown marks. 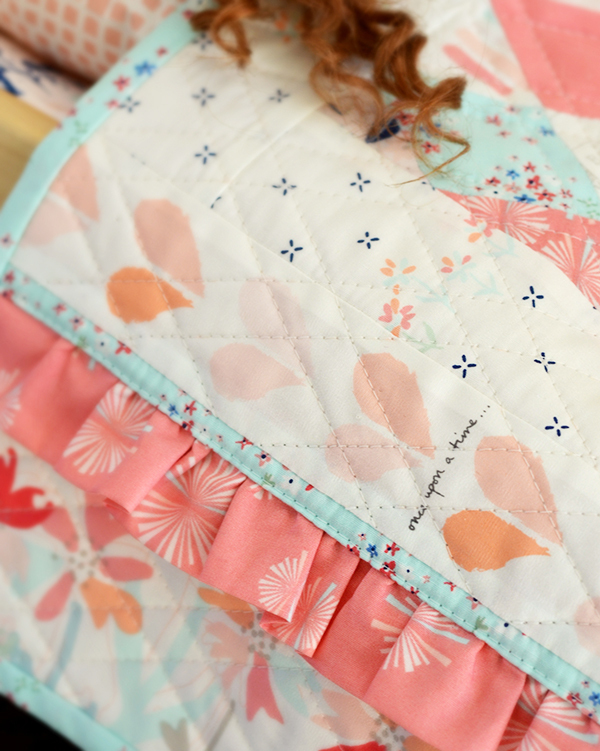 The starch lends stiffness to the fabric which makes cutting easier and more precise, and the finished block looks a lot sharper than it would have been without starch. You can also use products such as Best Press and Flatter to get similar results. 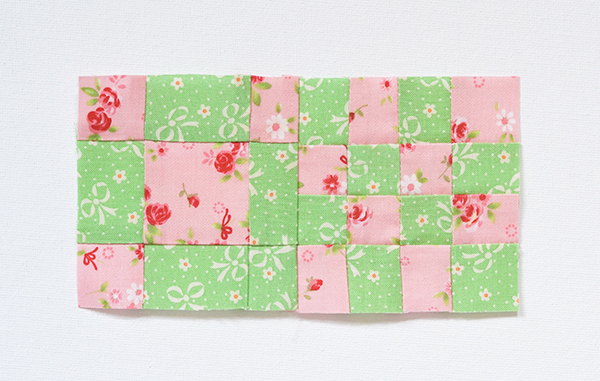 Starching is especially important when you are working with teeny tiny pieces such as in this block!! 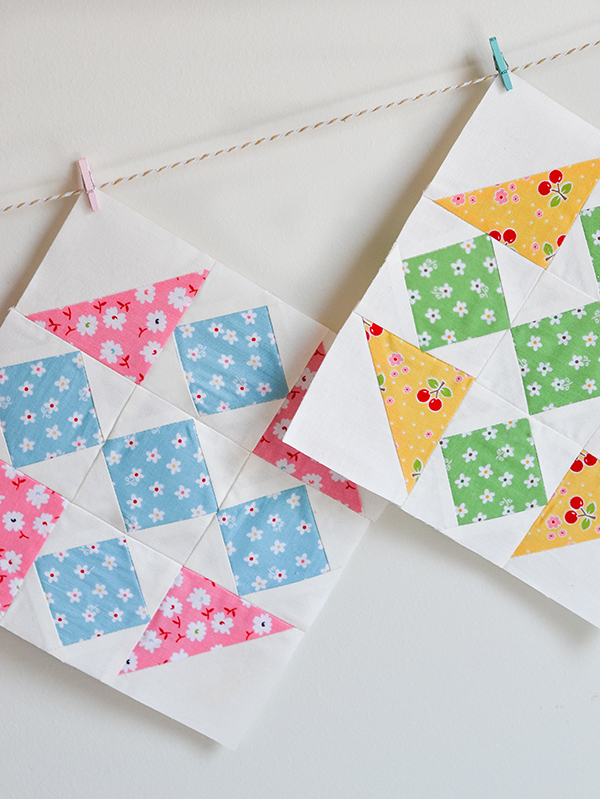 Take extra care when cutting your block pieces, as any errors are magnified when working with such small pieces. Follow the rotary cutting instructions in the book's CD, or if you are using the Marti Michell templates you can download the conversion chart here, which has detailed cutting instructions for the templates. In explaining the steps I will refer to my pieces using the colours in my block i.e. pink and green. Replace these with your own colours when you are following the steps below. Use a scant 1/4 inch seam allowance. Step 1. 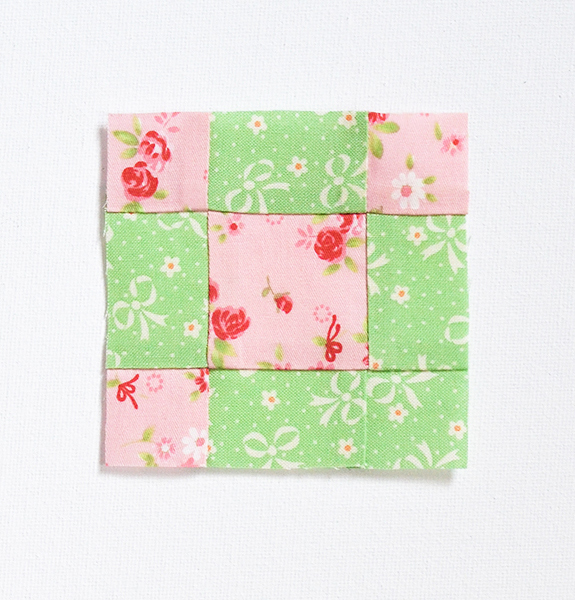 Sew two small pink squares to either side of a green rectangle piece. Press seams to the left. Make two. Step 2. 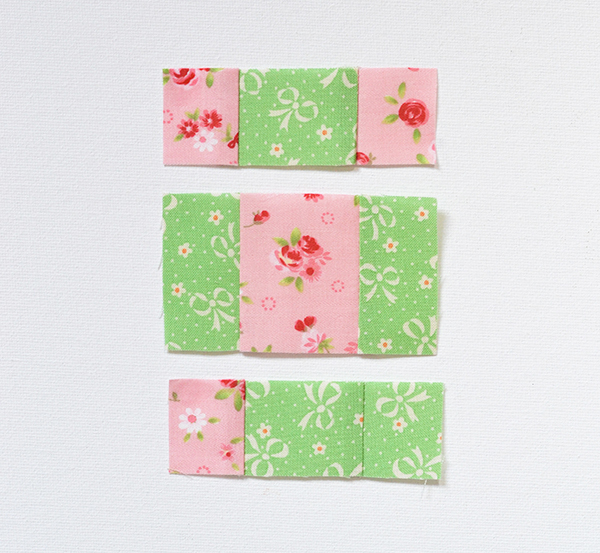 Sew two green rectangles to either side of a large pink square. Press seams to the right. Make two. Step 3. 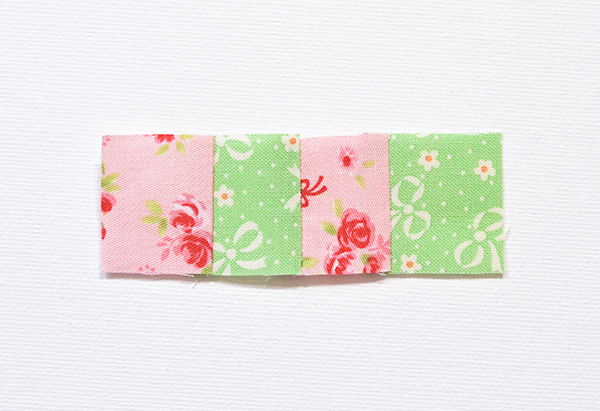 Sew a small pink square to the left of a green rectangle. 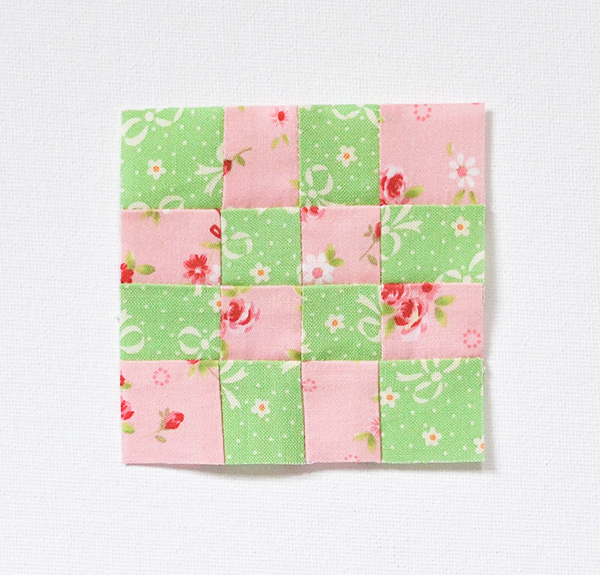 Sew a green square on the other side of the rectangle. Press seams to the left. Make two. Step 4. 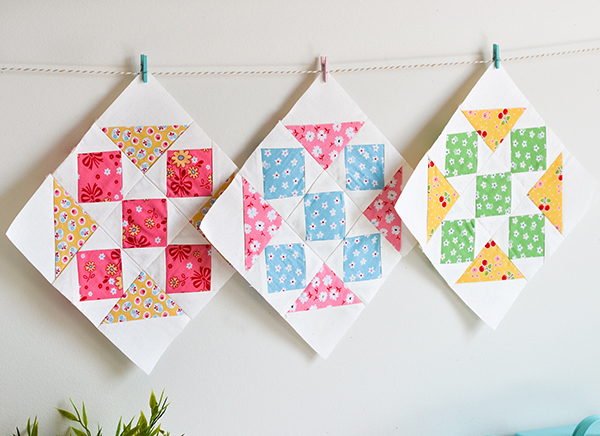 Take one of each unit you made in the first three steps and lay out as shown below. Then sew the rows together. As we pressed the seams in alternating directions they should 'nest' nicely at each intersection. 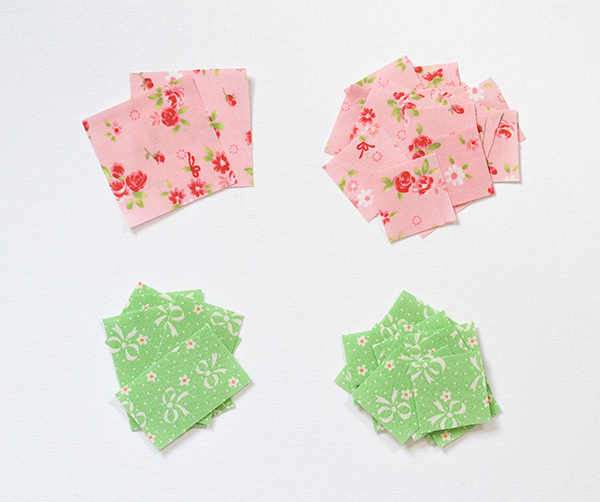 Make sure you pin these well before sewing. Your finished unit should look like this. Make two. Step 5. 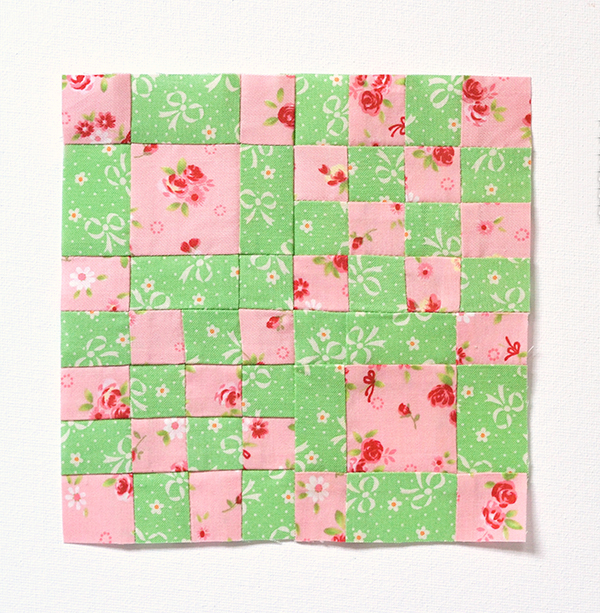 Sew two green and two pink squares together, alternating the colours as shown. 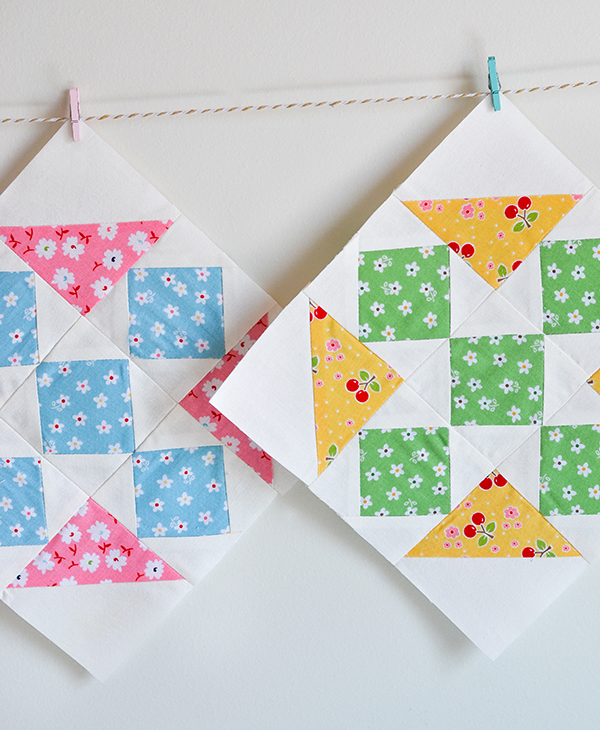 Press seams to the left (make sure each unit is pressed identically!). Make 8. Step 6. 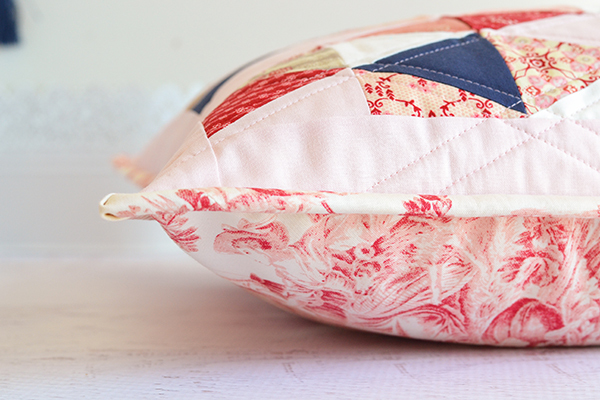 Take four units we assembled in the previous step and sew together as shown below. As we pressed the seams of each unit in the same direction they should nestle together nicely at each intersection. Press seams open. Make two. Step 7. 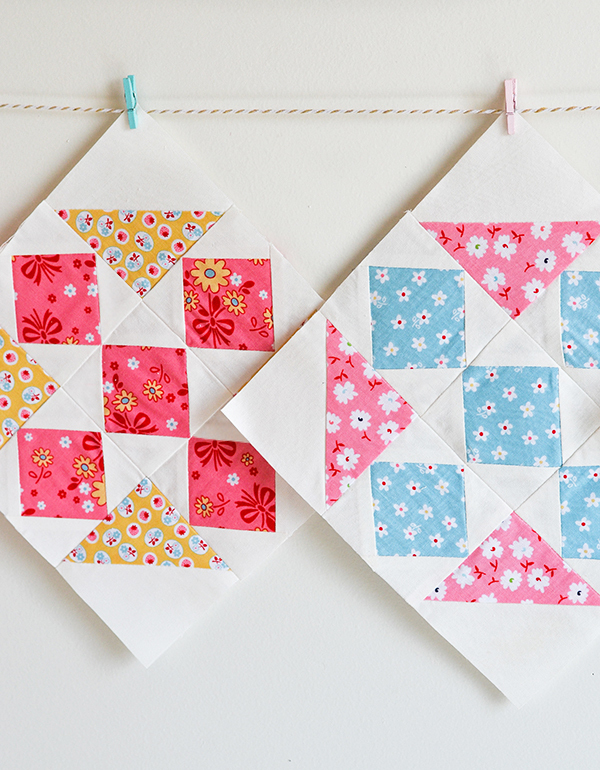 Sew two pieced units from steps 4 and 6 together. Press seam to the left. Make two. Step 8. Sew the two units from the previous step together, nesting the seam at the intersection. Press this final seam open. And your block is finished! 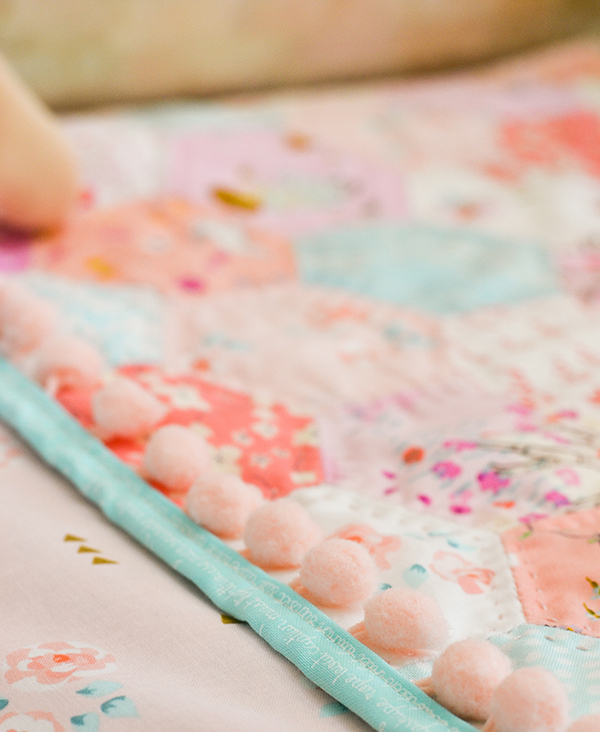 If you aren't currently sewing along but would like to join the 7500 quilters worldwide taking part in this mega-quilt-athlon it's not too late! You can find all the information you need on how to join up and key links in my previous blog post. This is the book you will need. I freeform stitched this embroidery a few weeks ago as a feature panel for one of my book projects. 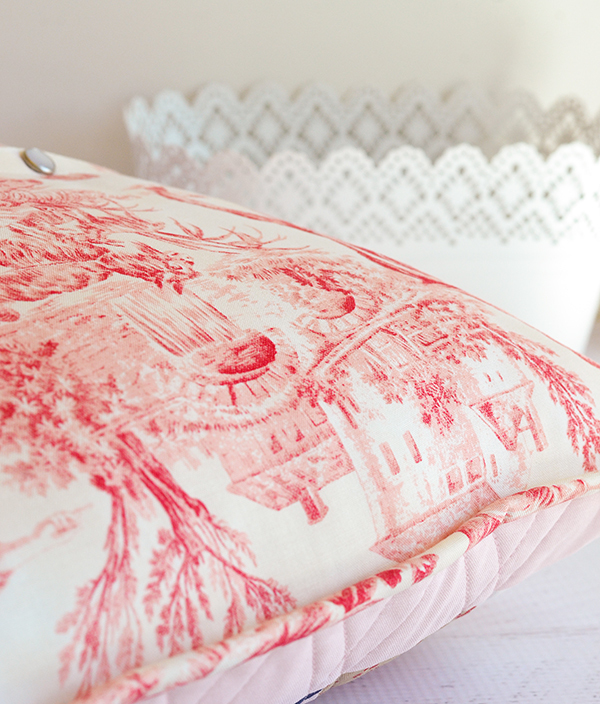 Unfortunately the style of the embroidery didn't work with my chosen fabrics for the project. So I decided to share the pattern in case you would like to stitch it too! 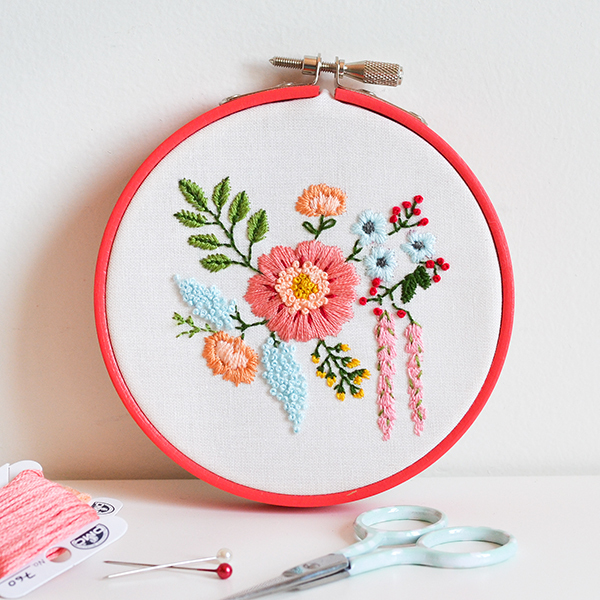 Unfortunately I didn't take any photos during the making of the embroidery so what follows is a mini-tutorial, if you like. 2. Trace the pattern onto the fabric. 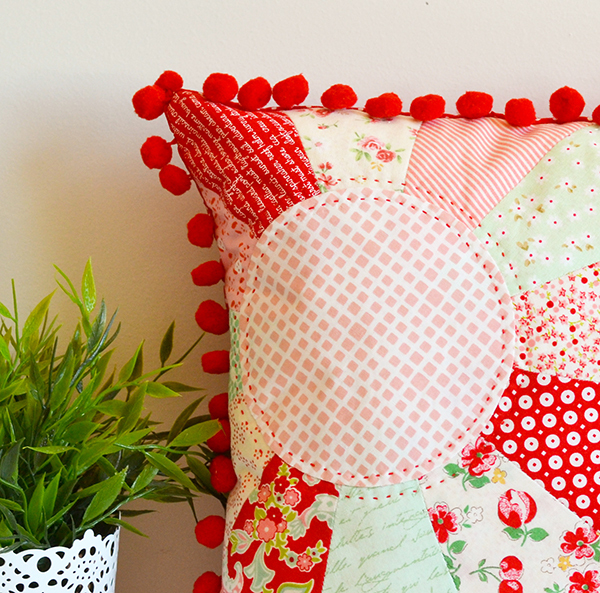 Check out my tutorial on 'Tracing an embroidery pattern' if you would like to use my method. Stretch onto the hoop, making sure the pattern is centred. 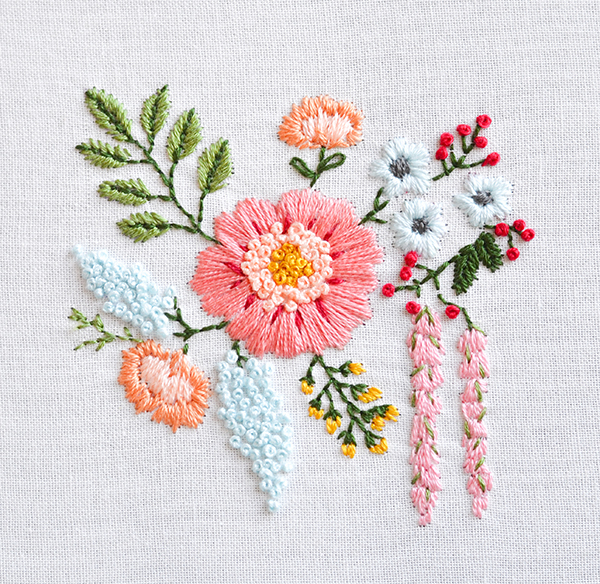 If you aren't familiar with any of the stitches above or would like a refresher, you can find some excellent video tutorials on Mary Corbet's Needle'N Thread. 4. 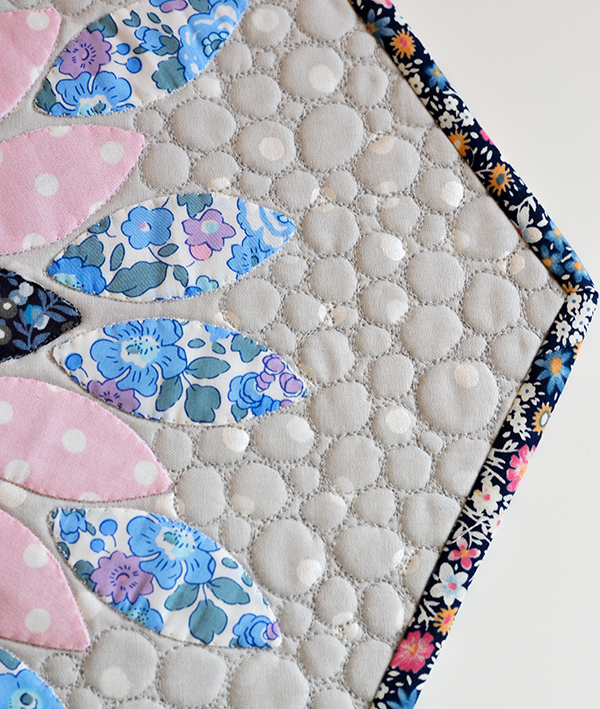 Finish the back neatly using my method from this tutorial. 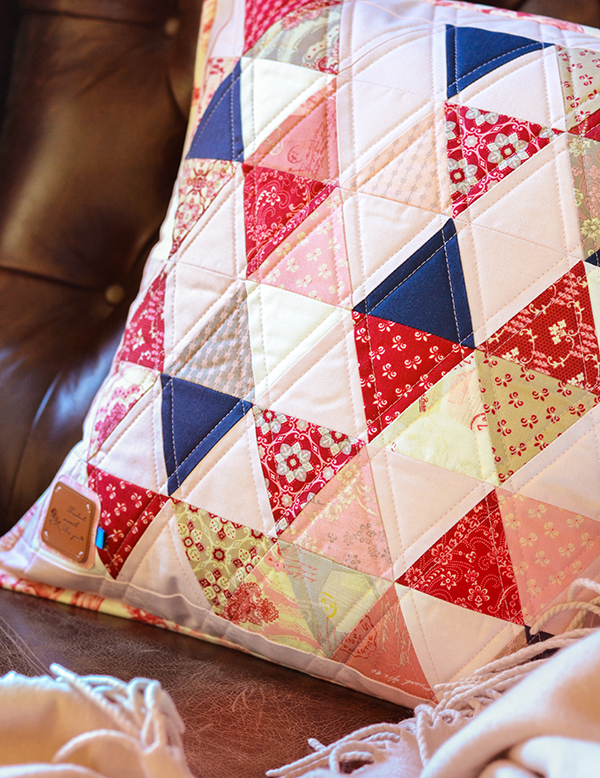 When I first started to sew my husband asked me to make a cushion for his "daddy" chair - a lovely old brown leather armchair in our living room which is his preferred reading spot. And you know what - he did have a bit of a wait, but I finally got around to sewing one! 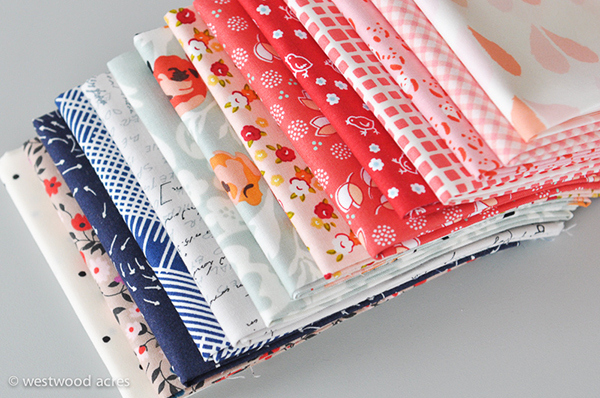 The fabric line I used is called Beaujolais by Sue Daley Designs for Penny Rose Fabrics - it's a new collection that's just coming into stores. A lovely mix of pinks, greys and deep wine reds. 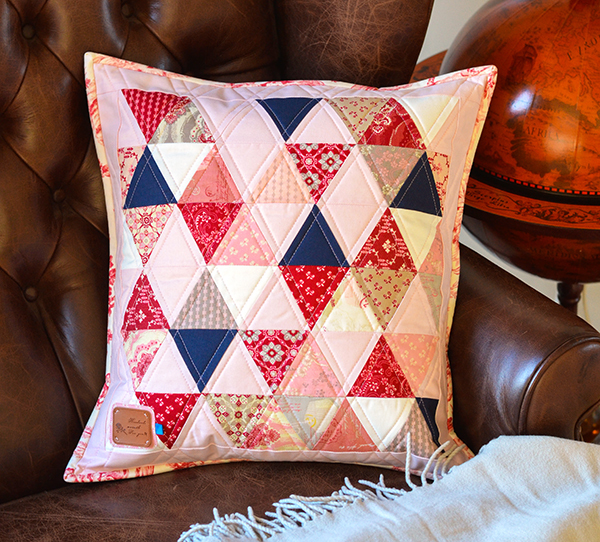 I wanted a fairly modern look for the cushion so I also mixed in some Riley Blake Confetti Cottons - which is Riley Blake's new range of solids coming in June. 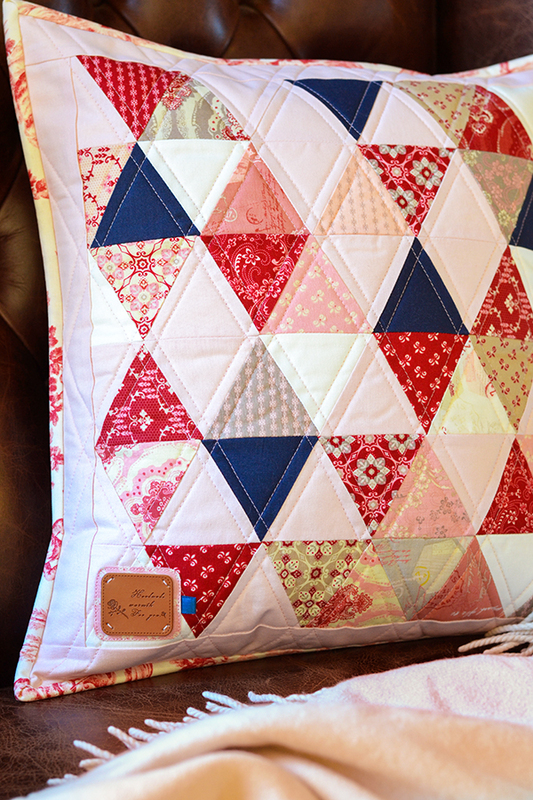 And here is the cushion on the said 'daddy' chair. Perfect fit in terms of colour and style! Most importantly, my husband loves it and didn't seem to mind the pink at all - the navy provides sufficient 'manly' contrast perhaps! 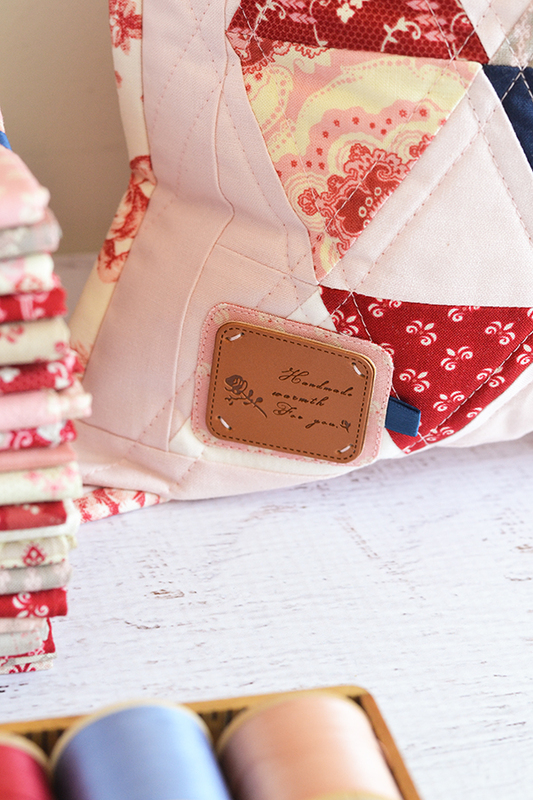 The binding and backing is another Penny Rose collection called Aesop's Fable by Erin Turner. 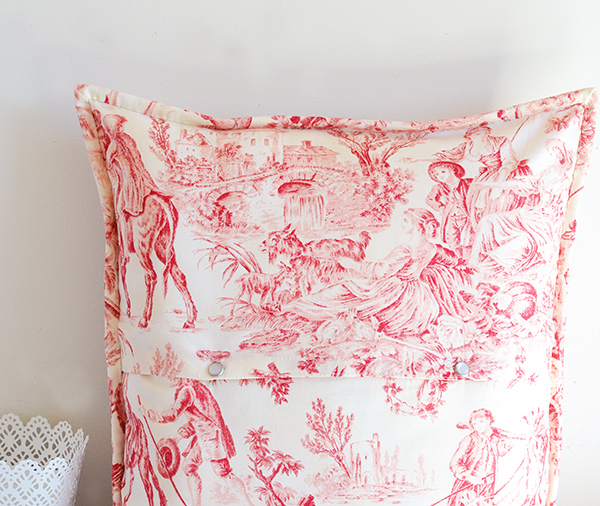 That red toile is so stylish! 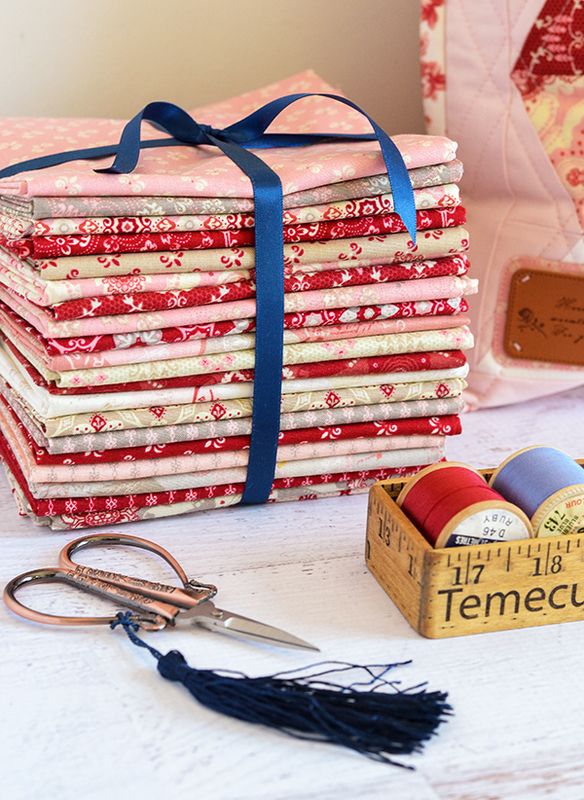 To celebrate the launch of this collection I have a Fat Eighth bundle to giveaway to one lucky reader, courtesy of Penny Rose Fabrics and Millhouse Collections. Please leave a comment below with what you would make if you won and I will pick a winner on Friday. Good luck! 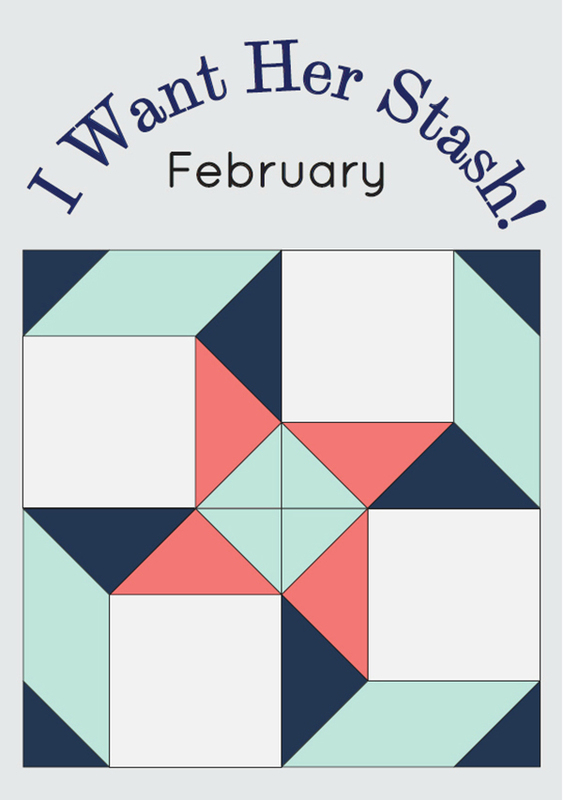 Welcome back to the Crossroads Quilt-along hosted by Fat Quarter Shop in benefit of March of Dimes! 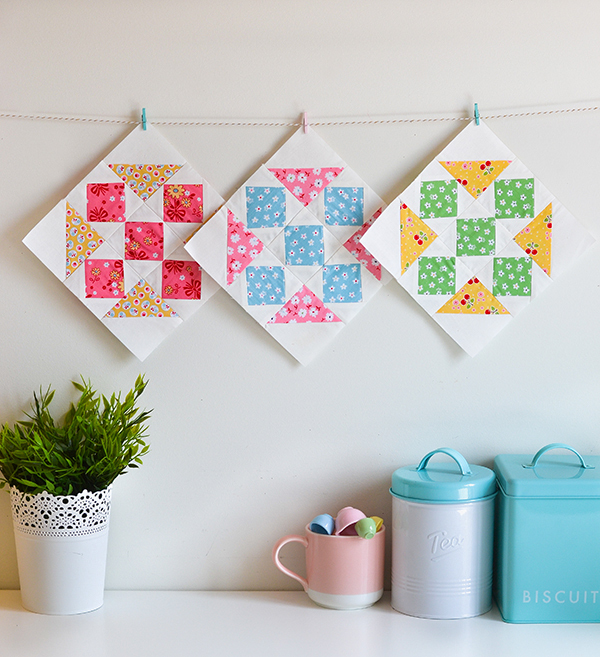 The second block has just been revealed on the Fat Quarter Shop blog, and it's the Diamond block. You can download the pattern here. 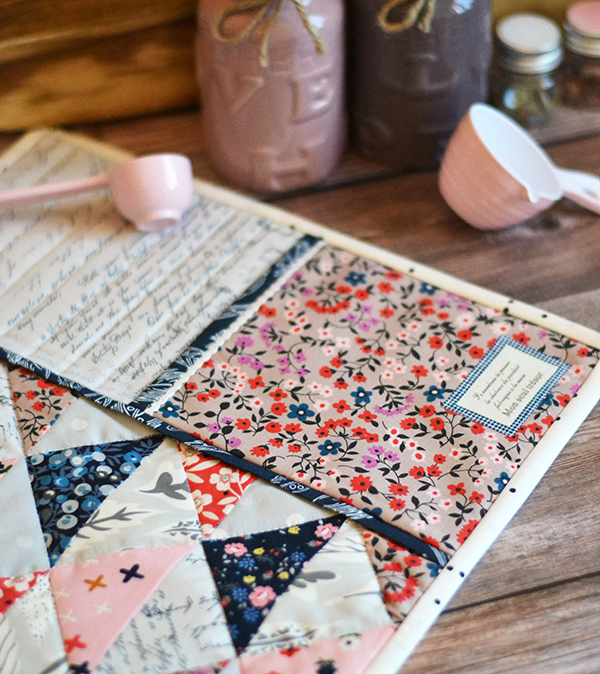 For my diamond blocks I picked floral fabrics by one of my all time favourite designers, and a much revered fellow Riley Blake fabric designer. I am talking about the queen bee herself of course, Lori Holt, of Bee In My Bonnet. 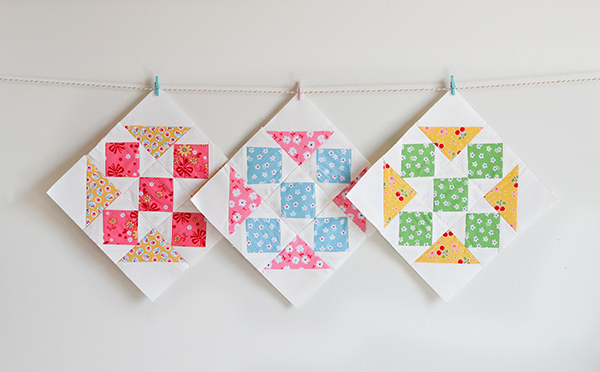 I have mixed prints from three of her fabric collections in my blocks. I would lie if I said I didn't find these blocks a little challenging. I had to rip and resew several seams to get those points lined up - it's a pretty unforgiving design so my advice is to take extra care when cutting and sewing. Hope you like my Diamond blocks! 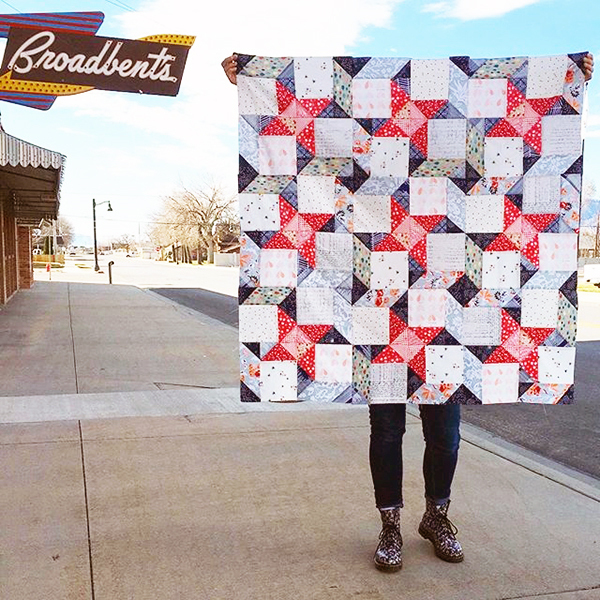 If you would like more inspiration check out the blogs / Instagram feeds of all the other designers participating in this quilt along! 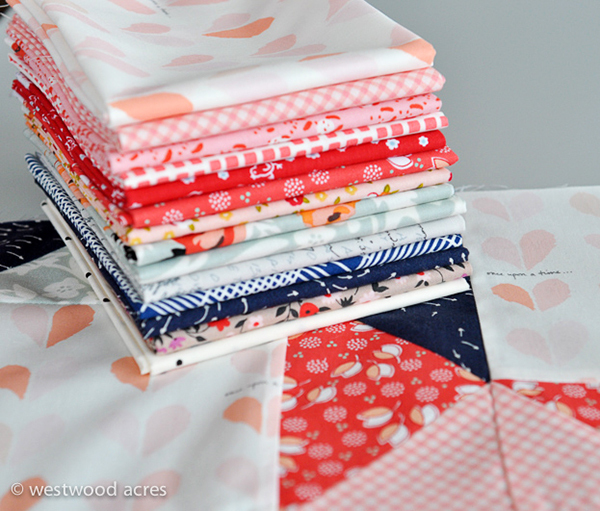 Westwood Acres is one of my favourite fabric shops, so when they asked if I would be interested in being one of the designers for their popular "I Want Her Stash" club I jumped at the chance! 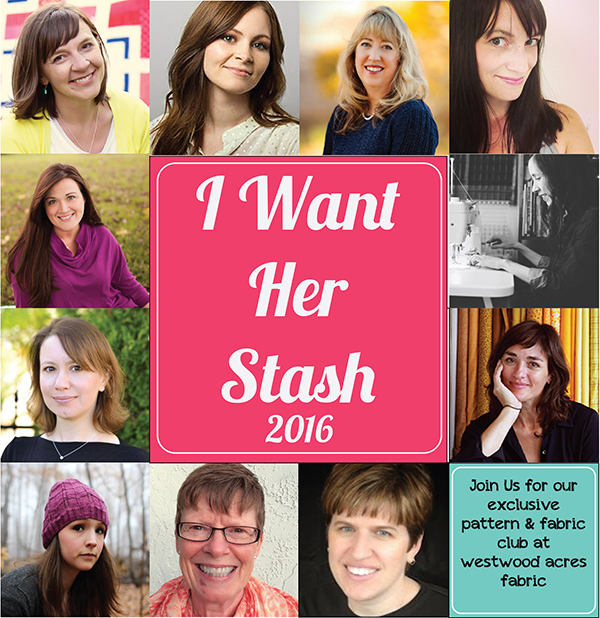 Subscribers to the club receive a bundle of fabric and an exclusive quilt pattern put together by a different designer every month. 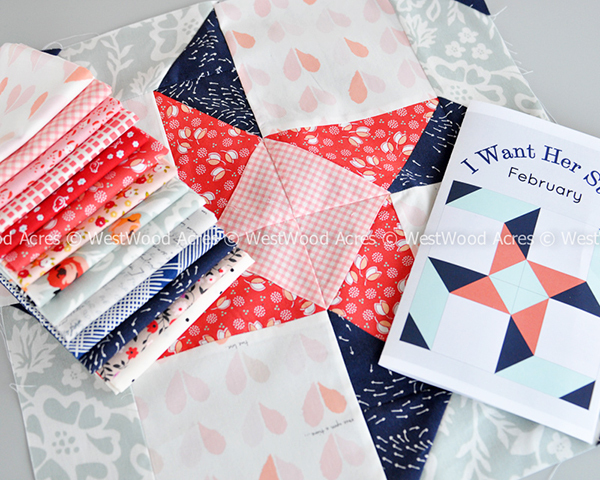 My month was February, and here is the bundle I curated! 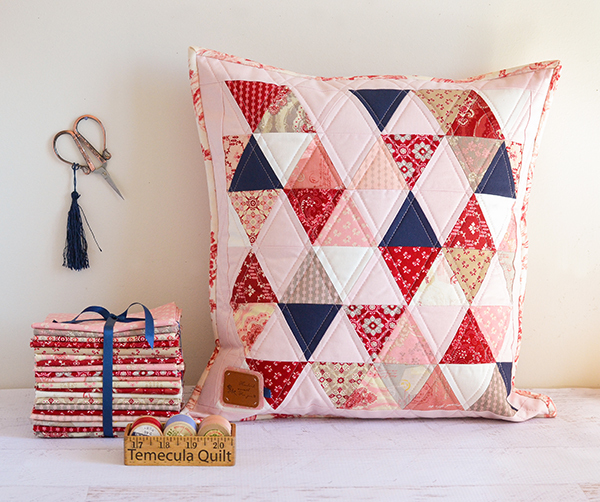 Sweet watermelon hues mixed with navy and low volumes. 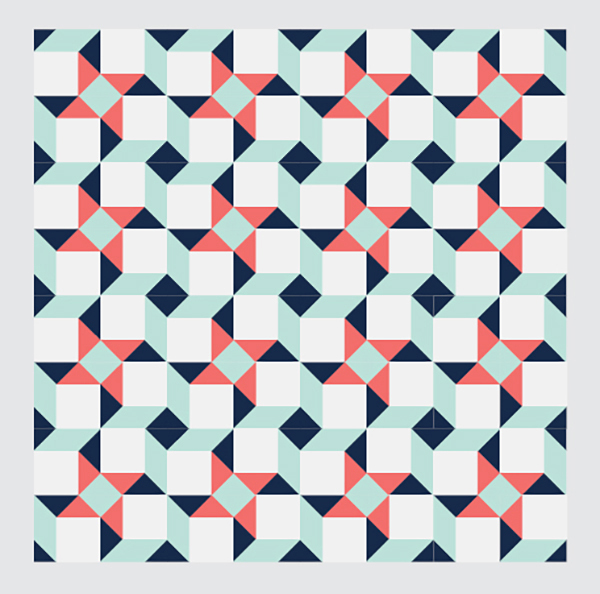 And here's the quilt pattern I designed to go with the bundle. 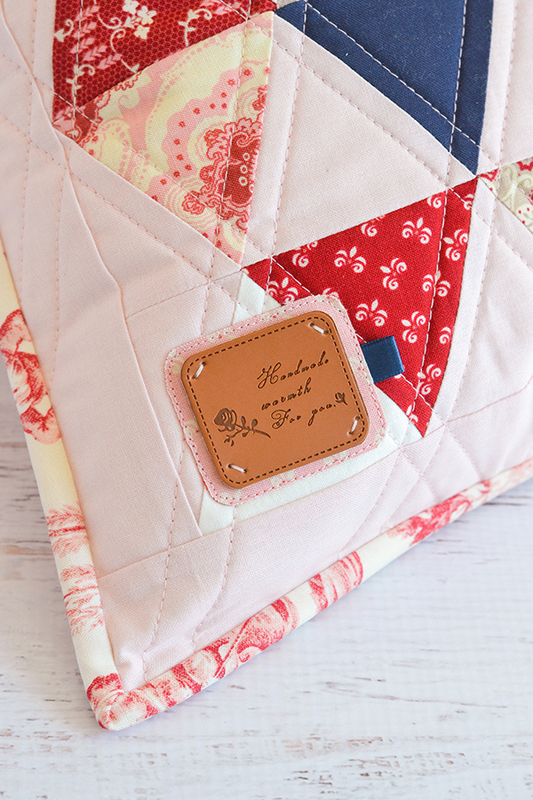 It's a very simple block that is rotated 4 times to make a big whirlwind block, which is then repeated throughout the quilt to achieve quite a dramatic effect overall. 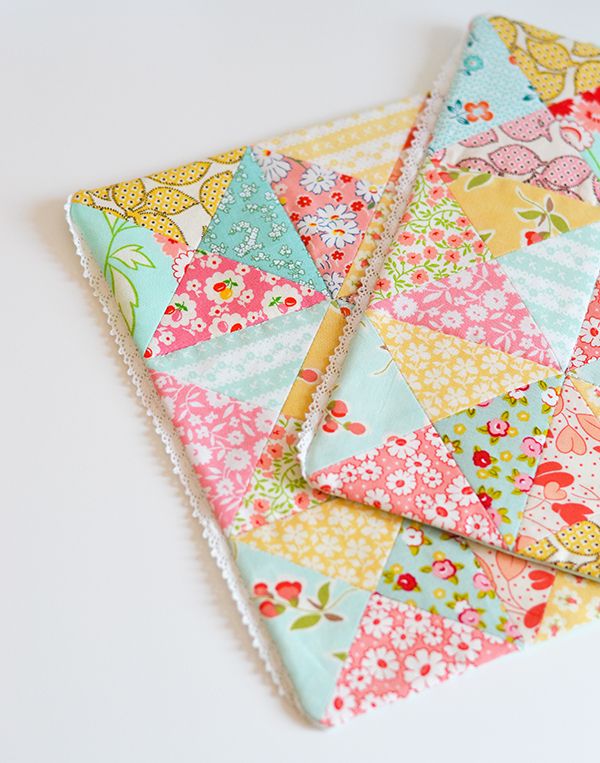 Simple to sew, and the quilt comes together really quickly! 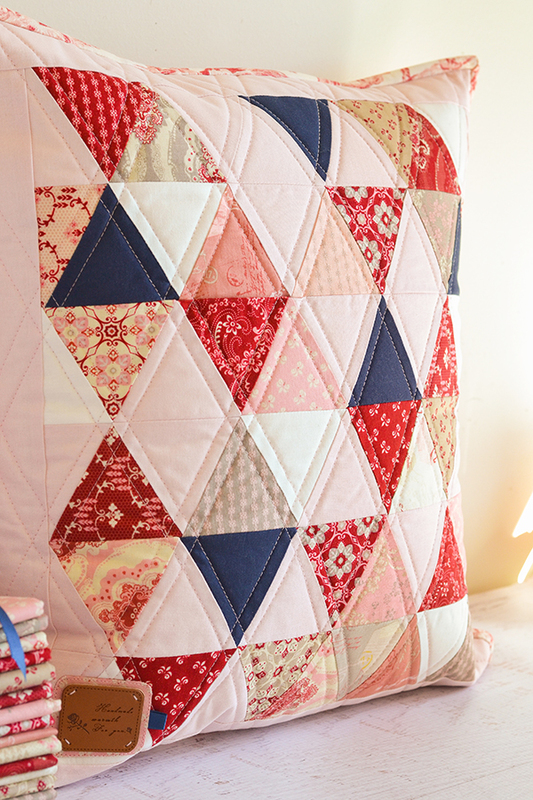 Melissa from Sew Shabby Quilting has constructed her whirlwind quilt already! Doesn't it look great? There is still time to join the club and receive this bundle and pattern - visit the Westwood Acres website if you would like to subscribe. As I briefly mentioned in a previous post, my first book is coming out in a few months and I am so happy to finally be able to share some details with you! 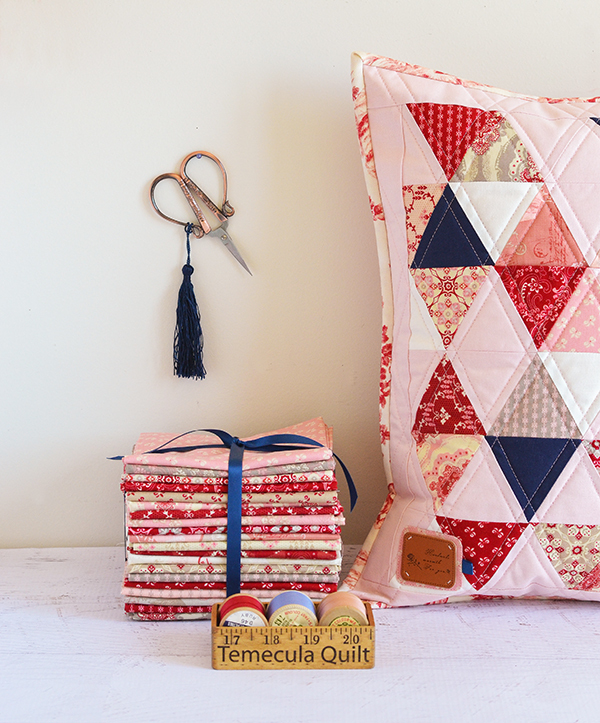 Quilt Petite is all about small quilty things - mini quilts, cushions, table toppers, doll quilts, place mats, potholders, mug rugs, and more! 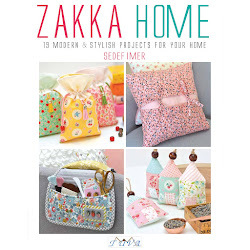 I am so proud of every single project in the book - each has been designed and made with lots of love and care. 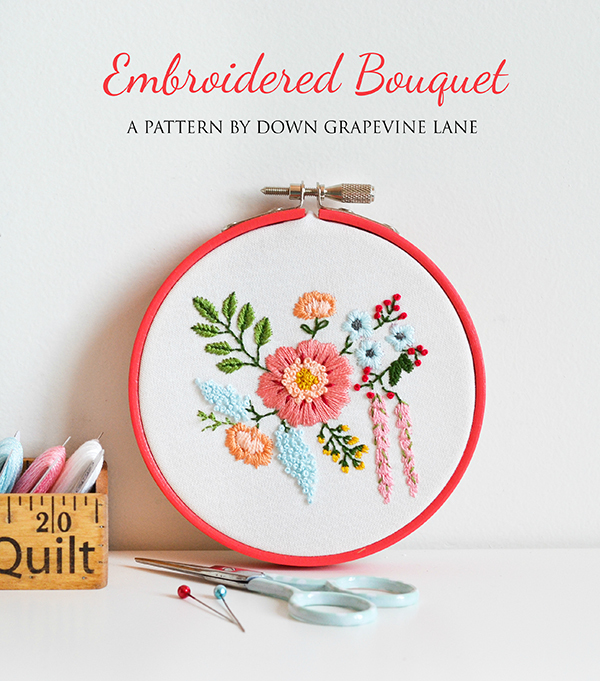 I have also included pretty much every sewing technique I know in this book, with the possible exception of crochet! 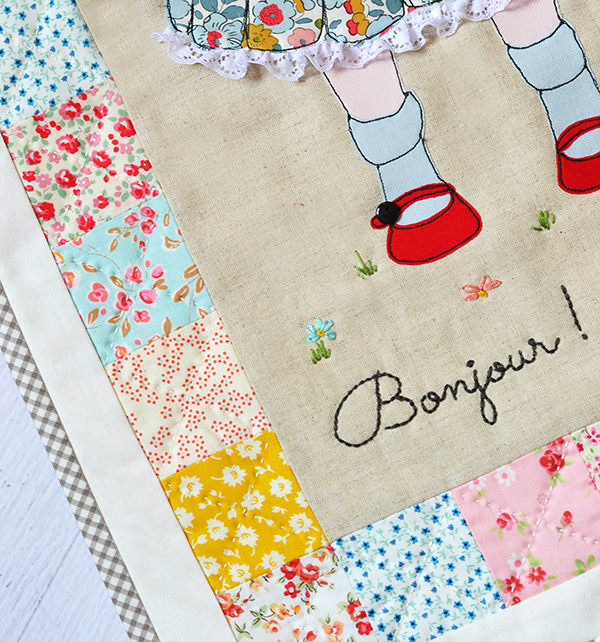 As well as traditional rotary cutting patchwork techniques there are projects featuring English paper piecing, foundation paper piecing, raw edge applique, hand and machine quilting, hand embroidery, and free motion applique to count a few. 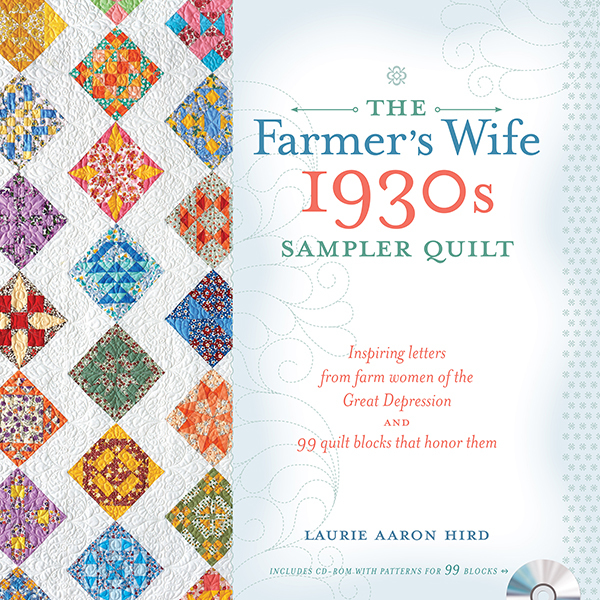 There is something in the book for all levels of sewists - easier projects for beginners who may also want to try some new techniques, and for advanced quilters who wish to practice more challenging ones. My awesome publishers are Tuva Publishing, an international publishing house with designers such as Amy Sinibaldi, Kerri Horsley, and Agnieszka Strycharska in their portfolio of authors (to mention just a few!). 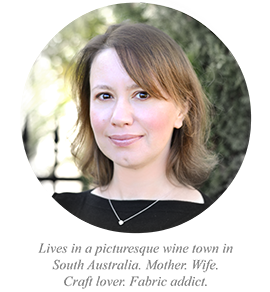 I was so excited when they approached me to offer me a book deal - it was a match made in heaven as I am of Turkish background and Tuva are based in Turkey. 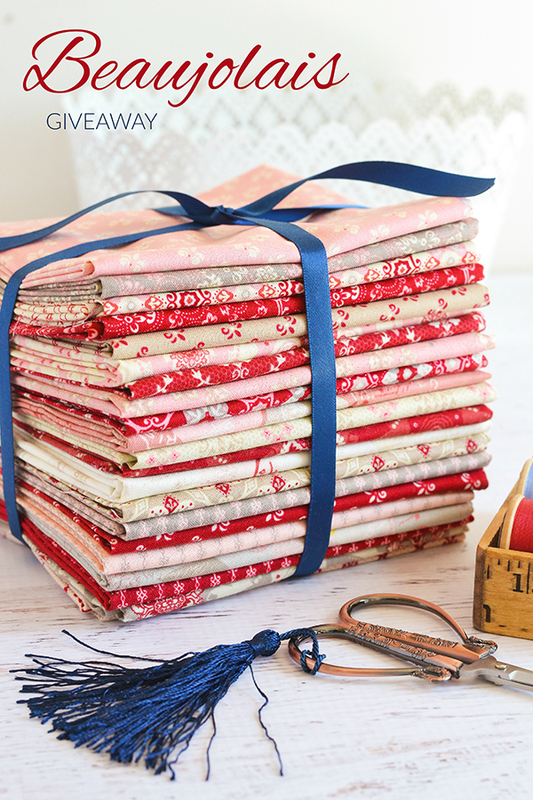 Quilt Petite is now available to pre-order on Amazon and Book Depository . 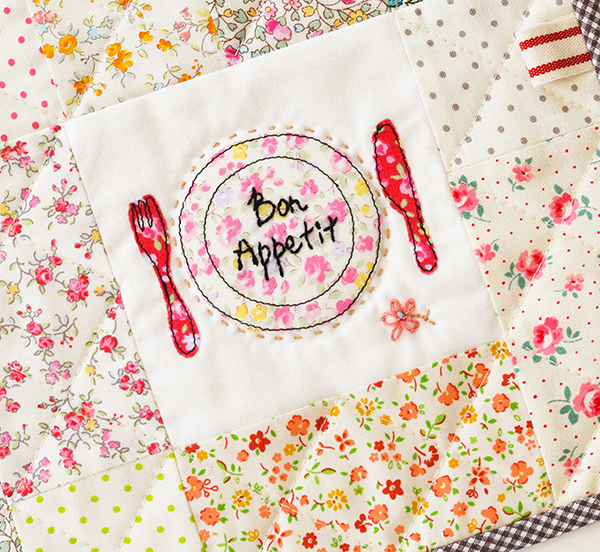 Here are a few sneak peeks of what's included in the book to whet your appetite!